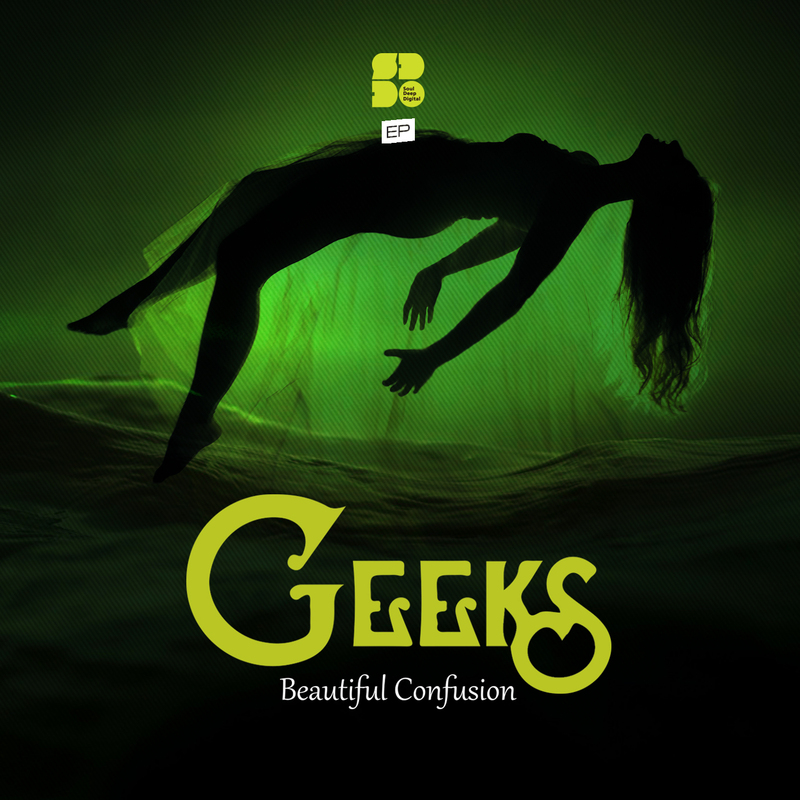 Smooth piano chords, soaring vocals, deep synth soundscapes, and rugged rolling basslines, you can find them all on the new EP by Geeks. The EP boasts 5 tracks of lush D&B starting with the title track, “Beautiful Confusion”, which features the beautiful vocals of Afia. The track builds from basic piano chords and breathy vocals in the introduction, but when the drop hits the ripping bassline takes over. The second track, “Be There”, begins with a heavy 2 step break and some beautifully deep chords. The song hits the drop and takes off into a journey of epic proportions with it’s edgy bassline and swirling effects. The third track, “Park”, takes off where, “Be There”, left off. The songs boasts shimmering rhodes chirps, long moody string sounds, and another big bassline that helps balance the sound between beautiful and dirty. “Fourth” is another uplifting song that features smooth rhodes chords, epic strings, tasteful efx, and a gritty bassline. The final track of the EP, “A Taste of Your Touch” also features the talented vocalist, Afia. The song chugs along with it’s piano chords, rhodes riffs, and choppy drum patterns, and Afia’s beautiful vocals bless the song with absolute perfection. These guys are headed for big things!